Tim Haring — The good news permeates the entire Bible from A-Z, from Genesis to Revelation. TODAY is another chance to fill your belly, and help the high school students raise money for summer camp! This time, it’s a Pancakes and Sausage Fundraiser! No reservations are needed, it’s just $5, and take-out meals are available. Begins TONIGHT, 6:10-7:30 pm: Married or engaged couples are invited to be a part of a 5-week, Sunday evening short-term group, where couples venture into life change with one another, in a conversational environment with biblical insight and practical discussion. Limited childcare will be available for those who register early. To register and find out more info, visit the kiosk in the lobby today or theridge.church/couplesSTG. Divorce Care meets Wednesdays at 6:30 pm. Divorce and separation are among life’s most difficult and painful experiences. Divorce Care provides healing and support in a group setting for people who are going through separation or divorce. To register, visit theridge.church/divorcecare. Grief Share meets on Thursdays at 6:30 pm. Losing someone hurts, but you don’t have to go through the grieving process alone. Grief Share provides resources and people who understand what you are going through, as you look toward rebuilding your life and taking steps to recover from your loss. Register at theridge.church/griefshare. Wednesdays, beginning March 15: This life-changing class will help you achieve your financial goals by showing you how to eliminate debt, save for the future, and give like never before. You will be challenged and motivated to make a plan for your money and to change your family tree forever. Register online at theridge.church/fpu2017. March 18, 9 am-4 pm: Your marriage can feel like it’s under attack, but there are ways to protect it as you intentionally work to strengthen it. Join other married and engaged couples for Keeping Marriages Healthy, a one-day event exploring and discussing some of the challenges and joys of marriage. For more information, visit theridge.church/mw-oneday. Save the date! Baby Dedication at The Ridge is a time for you, as parents, to share with the church body your commitment to lead your children into a growing relationship with Jesus Christ. It’s designed as a way for parents to publicly profess and celebrate their intent to raise their children in Christ. Work and career play a role in the life of every man. 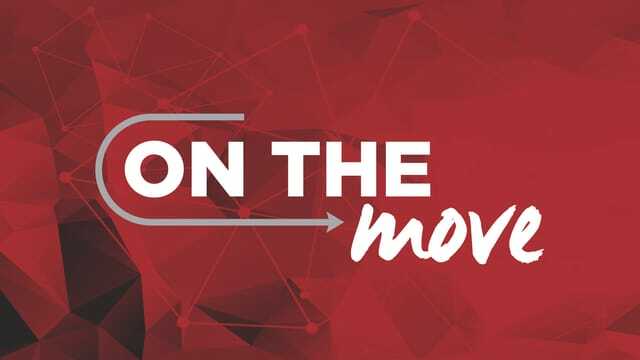 Connect with other men at The Ridge for breakfast on Saturday, April 1, to launch a 6-week study on how to find a bigger and more biblical vision of work that goes back to God’s original intentions. For more info &amp; to register, visit the kiosk in the lobby or theridge.church/mensSTG. The study begins Friday, April 7, from 6:30-7:45 am, for 6 weeks. March 28–April 4: Hey, students! Ready to challenge yourself to step outside your everyday life and make a difference in the world together? Of course you are! Food drive, party, rally, serve day, the exhibit and the finale...all in a week! Get the details on Sundays, Tuesdays and at theridge.church/CXP. March 31–April 3: The Ridge is honored to be a host site for the Compassion Experience, a free and family-friendly, traveling exhibit for the community, where attendees will understand the hardship-to-hope journey of poverty intersecting with Compassion International. The interactive exhibit takes you into the homes, markets, schools and lives of children from developing countries to hear their true stories. Open to everyone! Pre-register for priority entry, and find more info at theridge.church/compassionexperience. God's plan has always been to use one nation to reach all the nations. The first week of the series: The good news permeated the entire Bible from A-Z, Genesis to Revelation. Last week: The good news here and now. Today's take away: God's plan has always been to use one nation to reach all the nations. Our Lord’s long residence in Nazareth merely as a townsman had made Him too common, incapacitating them for appreciating Him as others did who were less familiar with His everyday demeanor in private life. Jamieson, R., Fausset, A. R., & Brown, D. (1997). Commentary Critical and Explanatory on the Whole Bible (Vol. 2, p. 103). Oak Harbor, WA: Logos Research Systems, Inc.
 Richards, L., & Richards, L. O. (1987). The teacher’s commentary (pp. 653–654). Wheaton, IL: Victor Books. Wiersbe, W. W. (1996). The Bible exposition commentary (Vol. 1, p. 184). Wheaton, IL: Victor Books.